Shri Ramesh Agarwal President FTS Bangalore is delighted to inform that M/s Kluber Lubrication India P Ltd, Bangalore, a Germany based company's contribution to our Ekal Schools have won them an award from Germany as one of their top CSR projects. Around 40 countries participated in this world wide event. 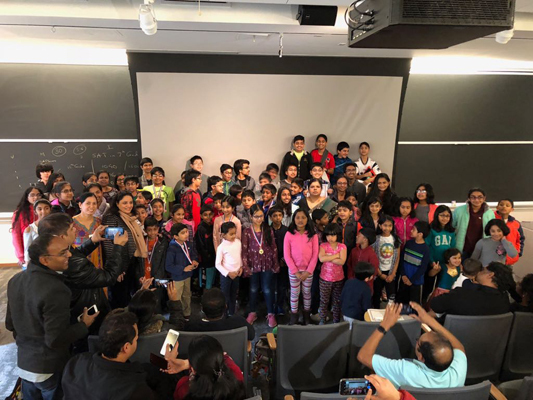 At Tufts University, Ekal youth leader Shri Kartik Seetaraman, an 8th grader conducted MathBee and raised funds for 10 Ekal schools. The youth volunteers inspire and make us so proud. 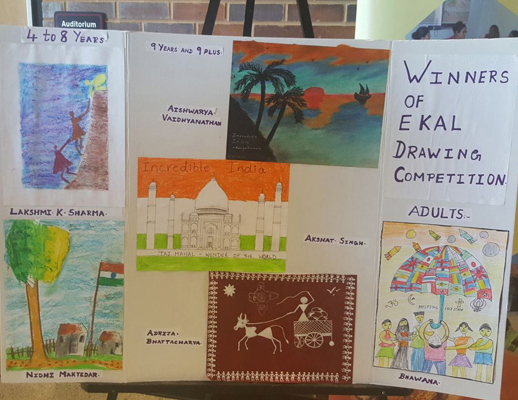 A painting competition was organized by Ekal Milwaukee. 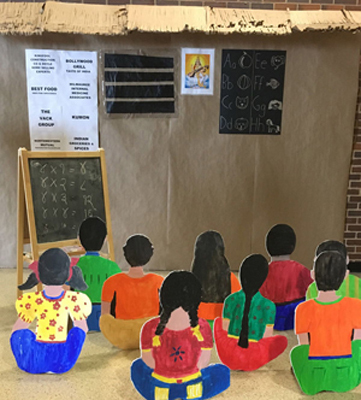 Milwaukee kids had replicated Ekal school scene in the hallway! It was amazing. 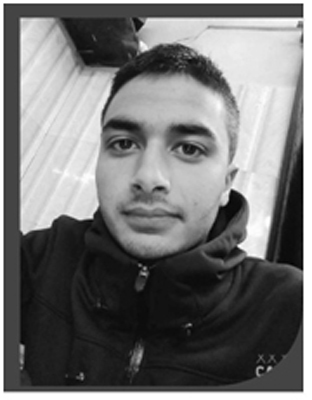 Sumit Barwal, from Himachal Pradesh, started his education from an Ekal school in Radabhankhed village in Mandi district. In Ekal he used to recite patriotic songs every day, as is the practice in all Ekal schools. From those early days in life, Sumit used to get very excited while he used to recite the patriotic songs. And then he had a vision of joining the army and serving the nation. In May 2015 he got the opportunity and succeeded in getting entry into the army. After training, his first posting was in his home state Himachal Pradesh, at the army headquarters in Dharamshala. Ekal is very proud of Sumit. 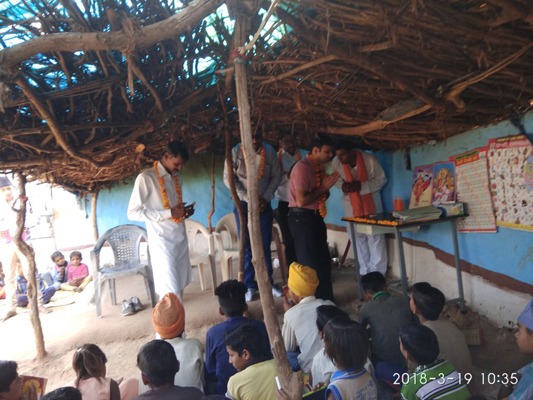 On 14th March Mahendra Wadi bhoomi puja was conducted for new GRC centre by Shri Ramesh Shah (Chairman - Ekal Vidyalaya Foundation of America) in Hoshangabaad Babai Sanch village. 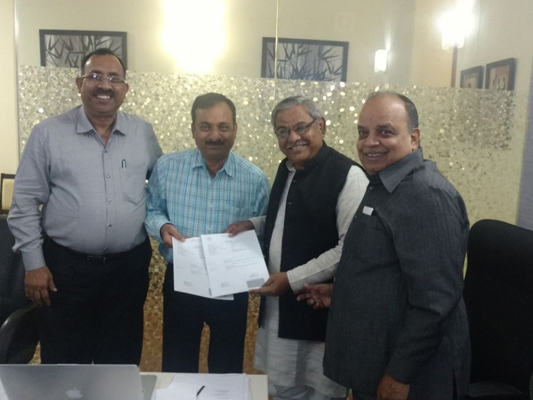 On March 5, for the first GRC center in Hoshangabad, Central India Division, 4 acres of land was donated in Mahendra wadi to Ekal Gramothan Foundation Trust by the family of Shri Sunil Agrawal-Kendriya Pratinidhi, MP. 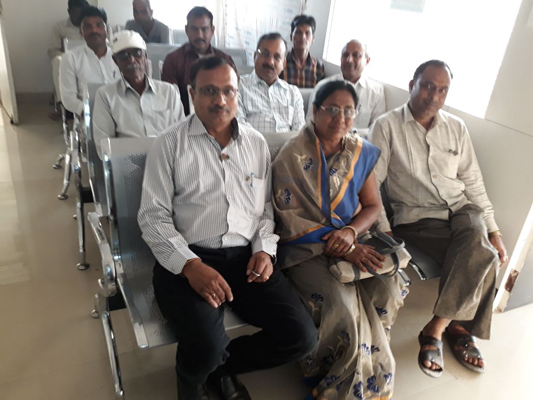 Smt Geeta Devi Agarwal Santoshi, Sri Suresh, Sri Anil Agarwal and Sri Naresh Jain on behalf of the trust were present. The land was donated with the faith that the rural youths from this region and other parts, together, would expand our good culture. The memories of Pujya Sri Dadaji, established here, will continue to inspire the Ekal family for such good deeds in the future. 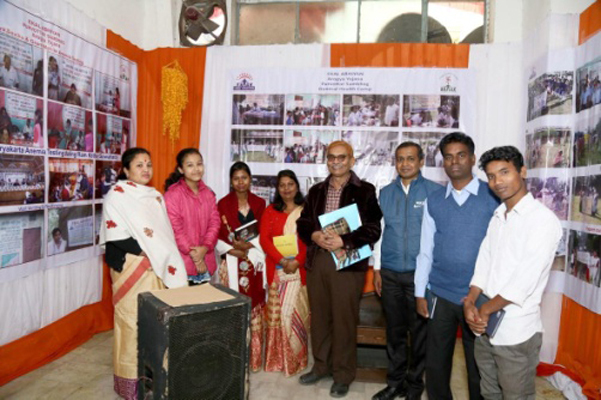 Tailoring Center – In the training center they had 12 tailoring machines and they also propose to have satellite centers to teach more students. Newly made pond for water conservation with heavy plastic base – This prevents loss of water to the ground. Tablet Project – They had just received the tablets. 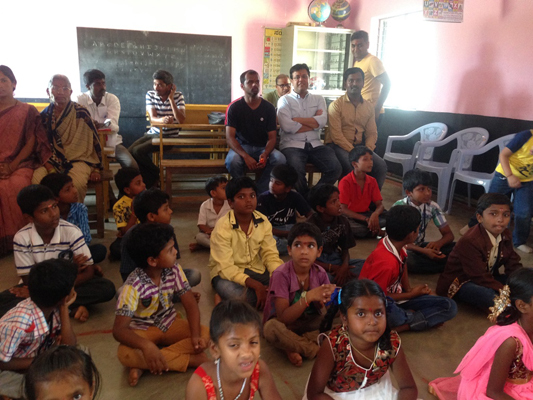 They also visited Vaganpada village school near Wada. The students were shy initially but then started playing, dancing, singing answered questions on Math and General knowledge. 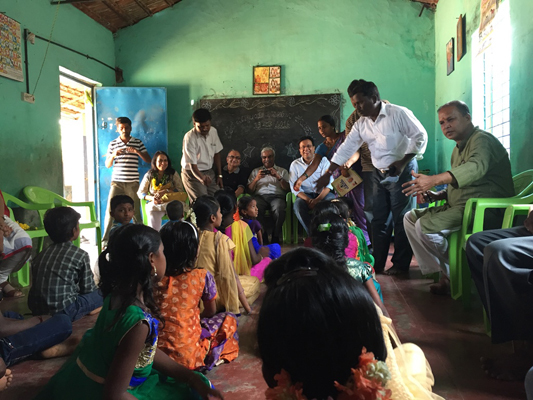 Biscuits were distributed to the students and other children in the village. 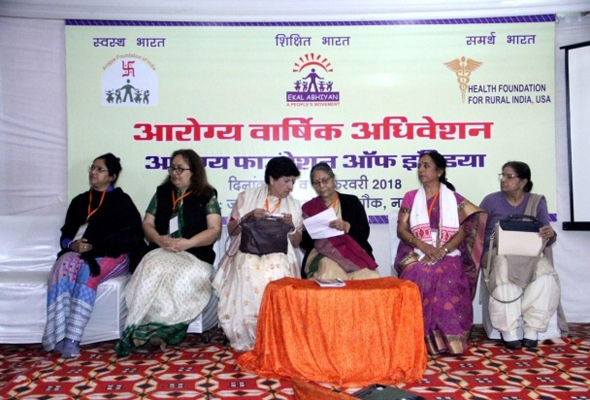 The first annual conference of Ekal Arogya Prakalp supported by Arogya Foundation of India and HFRI USA was successfully organized by Delhi chapter of AFI on 10th -11th, February, 2018 at Jai Ram Ashram, New Delhi. 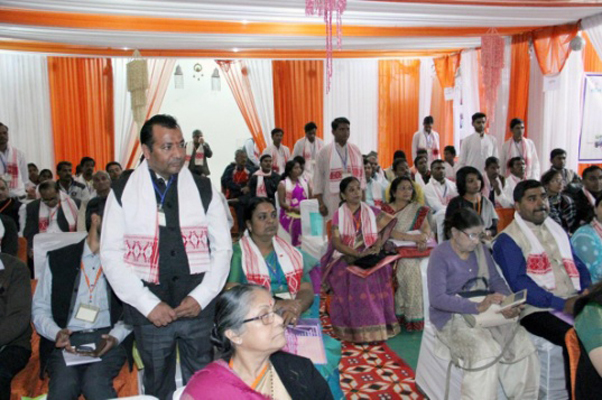 The program was inaugurated by Sri Shyam Gupt, the mentor of Ekal Abhiyan, The conference was attended by delegates & office bearers from all over the country. Sri Avineesh Matta, President AFI welcomed all delegates & guests in this conference. 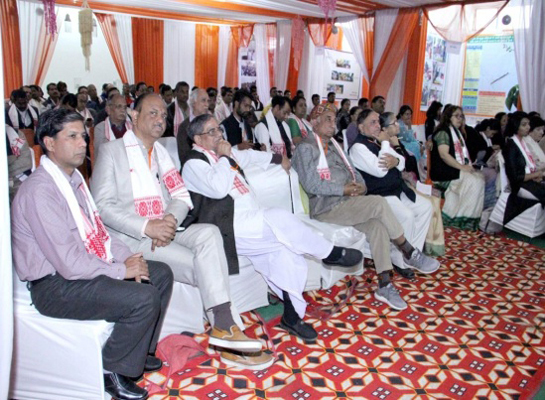 All the state committees along with our state coordinators presented their Annual Work Reports (AWR) and highlights of their achievements in two sessions. 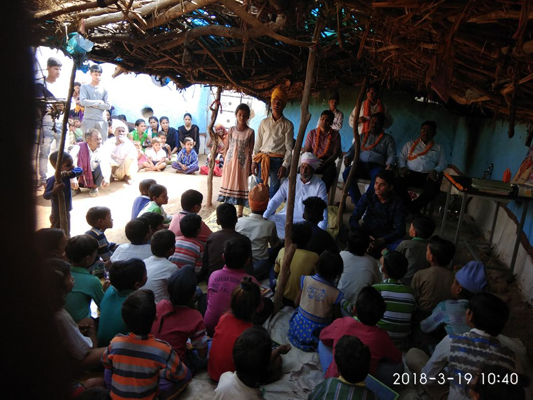 The quantity and quality of work done by them at the village level through innovative ideas to further improve different programs of AFI at low cost and with locally available resources were highly appreciated. It made all those present feel that the villages can stand on their own feet if proper awareness is created among them. Dr. Anil Vij showed the Indian version of his Telemedicine software which he has developed. EAP is planning to start the Telemedicine Prakalp in Jharkhand based on his software. Sri Bajrang Bagra in his scholarly speech explained the concept of Arogya Foundation of India and Ekal Arogya Prakalp and their role and areas of activities respectively. 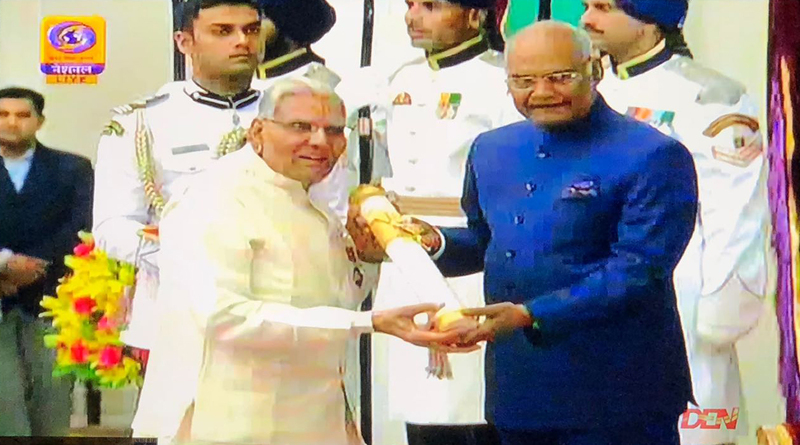 AFI’s role will be to manage the resources for Arogya activities and to keep supervision on the activities and achievements of Ekal Arogya Prakalp while EAP will concentrate on purely technical issues related to health like vision, planning, execution and analysis of different health activities to be done by EAP. Sri Subhash Gupta, President of Advisory Board of EVF, USA delivered his speech about the role of Arogya in Ekal Abhiyan from EVF, USA perspective. 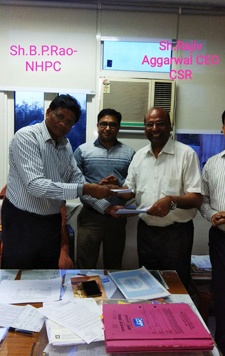 National Hydro Power Corporation (NHPC) joined hands with Bharat Lok Shiksha Parishad (BLSP) to provide basic education to the underprivileged children in rural areas in neighbourhood of their project locations. Sh. B P Rao, Chief Engineer (Civil & CSR) desired that the locations of EVs are preferred in the states of Himachal Pradesh and Uttrakhand, near their project locations. 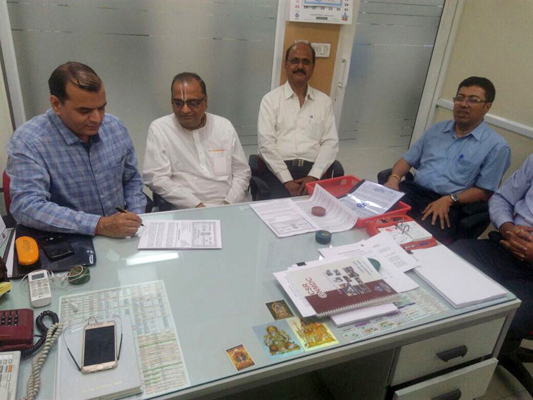 Last month Shri Kailash Bhangdiya of FTS Hyderabad signed MoU with NMDC for 500 schools for 5 years in Badtar, Sukma, Dantewada and Jagdalpur. 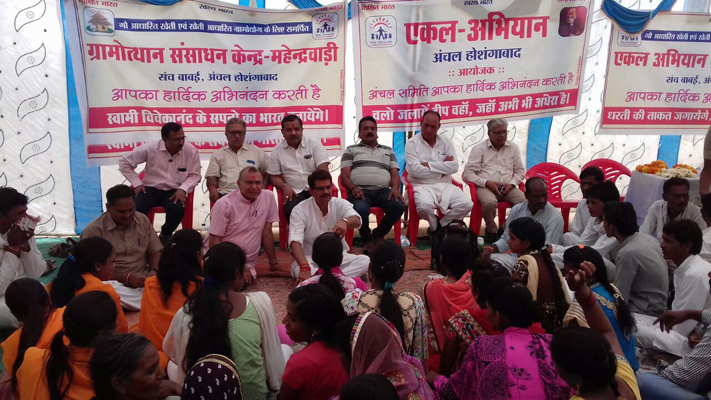 Mahila Samiti form Khargone visited Mandleshwar Sanch. 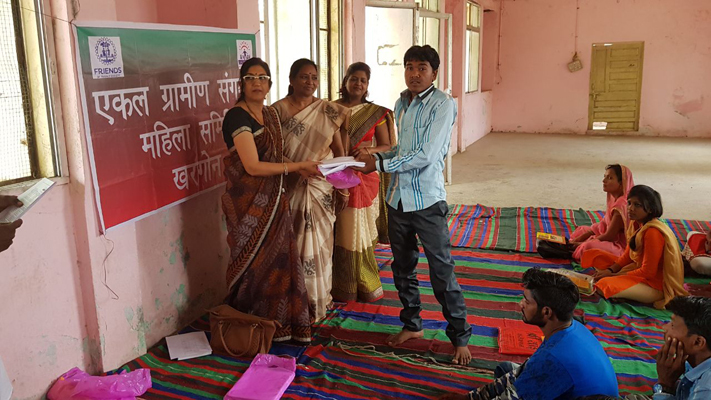 In the presence of Smt Kiran Agarwal, Smt Jyoti Agarwal and Smt Sarita Mahajan, dresses were distributed among teachers and karyakarthas. 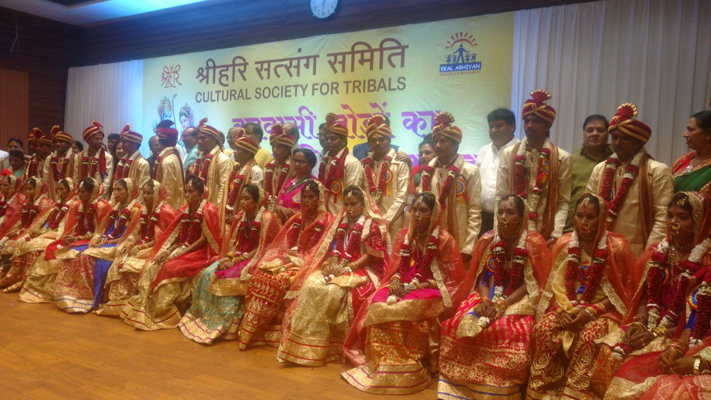 On 11th March 2018, 21 couples from 42 villages near Narmada got married in Maharaja Agrasen Bhaven in Surat conducted by Shri Hari Satsang Samiti. About 500 people attended the marriage from these villages and the event started with lighting the lamp. Chief coordinator Smt Madhavi Hitesh Thakker, Chief Guest Sri Sumith Goyanka and the Guest of Honor Sri Sanjay Saravgi graced the occasion. Every couple was gifted with basic items such as utensils, clothes, food items, Rs. 5,000/- as FD, cupboard and bed to start a happy life. 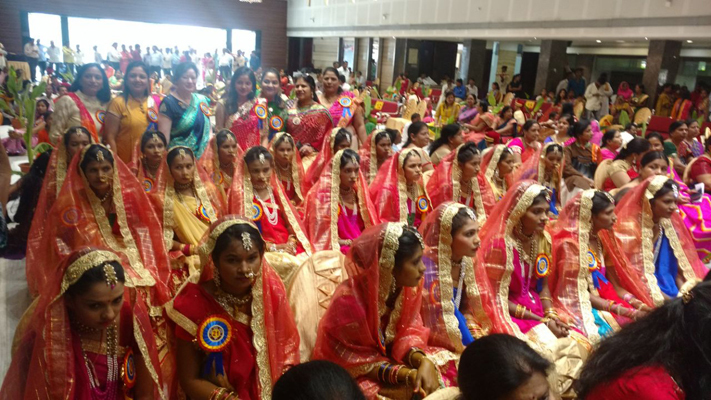 All the brides were gifted with sewing machine each to start self-employment in their own village. 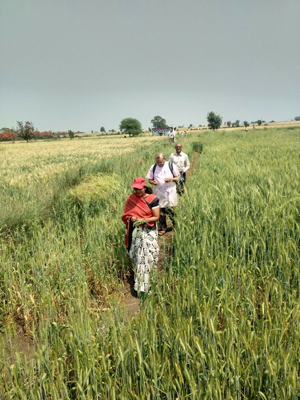 Many years ago when Sri Adish Jain and Smt Asha Jain had visited Sammed Shikhar Ji on a pilgrimage they were shocked by the extreme poverty around and wanted to help the villagers in the region but did not know how to help them living in USA. 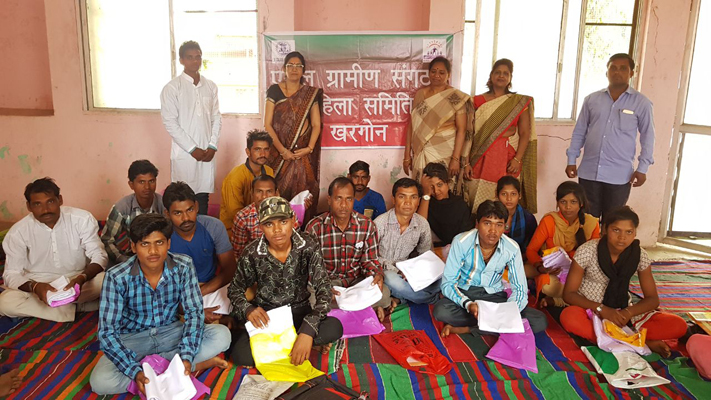 They were then introduced to Ekal and adopted 30 tribal villages in Jharkhand around Shikhar Ji with the idea of not only providing education to the children but also to provide means for the villagers to become self-reliant. Both Sri Ramesh Shah and Sri Bajrang Bagra were very receptive to our idea. 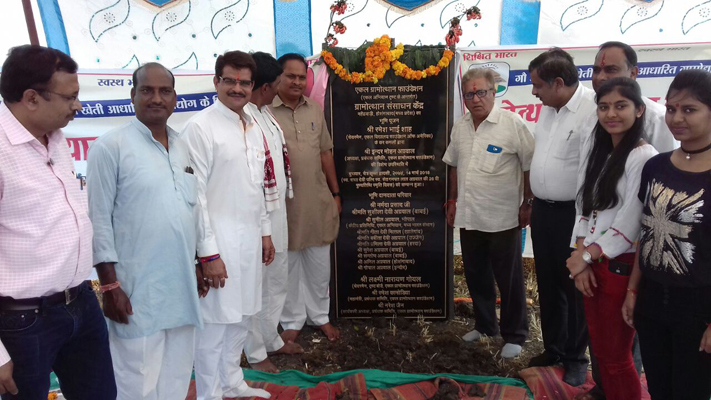 When they visited Shikar Ji on 5th and 6th March, they were spell bound on the improvements they saw. The tailoring center was doing well and the young girls and women were wearing dresses stitched by them. Likewise, in Computer training center, young boys and girls were completing their basic training such as typing, Microsoft word and excel. 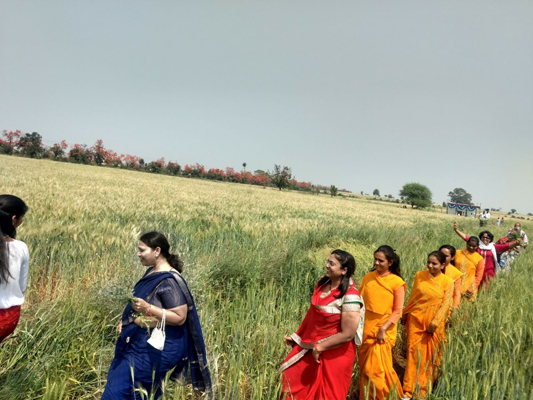 Through the transformative change in the lives of the children and villagers around Shikhar Ji, they have now decided to adopt 60 villages. 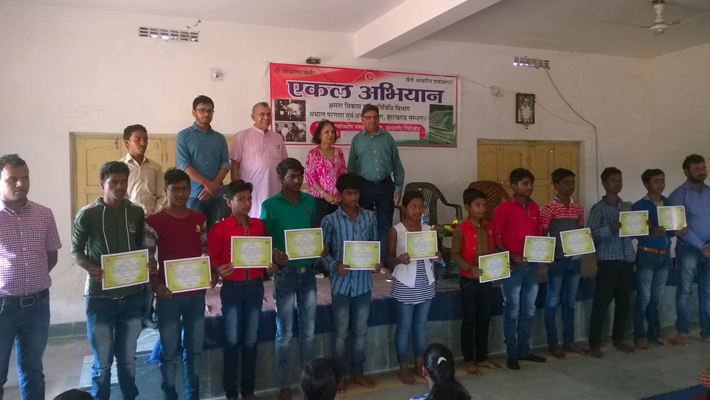 Shri Umesh Parwal (from Houston US) shared his experience about the vanyatra in Gavalier (MP). He was pleasantly surprised that EKAL is not restricted only to books but is covering Indian culture and ethos. He was all praise for the way kids have learnt and are performing. He donated money to sponsor one Ekal Vidyalaya. 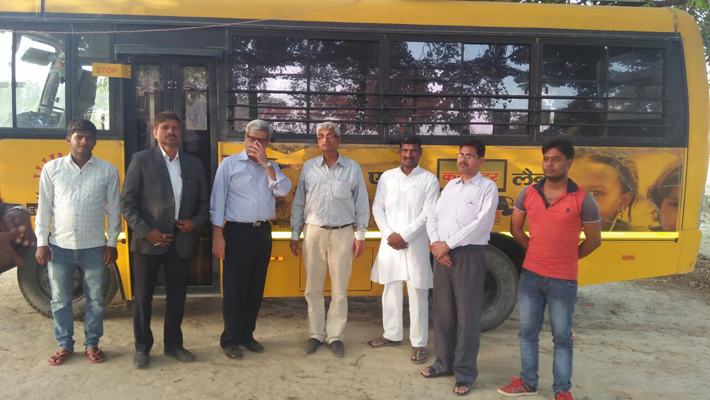 On 27th March 2018, a special visit to Ekal Vidyalaya in Sitapur, Misrakh, by Dr R B Singh along with Prof Pandey, a member of Ekal family and president of Las Vegas chapter, where they had a chance of meeting all Archaryas, Samiti members and those who had dedicated their full time for Ekal, for Ram Navami. They were welcomed by the villagers with grace. Sewing machines were awarded to two trained tailors for opening sewing centers in their village and also examined the ‘Ekal on wheels’ bus. They had a pleasant trip and worshiped Sri Ram Darbara, in the chariot.